Welcome to the Resume Writing and Job Search Blog, which provides up-to-date information and updates on resume writing, interview techniques, and job search strategies. lets you know whenever any new Web pages appear on this site, providing you with tips and techniques that will help you in your job search. keeps you up-to-date with other postings or news about job search related topics. Use these highly effective job search strategies to diversify and expand your job options. 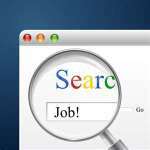 Continue reading "6 Effective Job Search Strategies"
An effective career summary will encourage the hiring manager to read your resume, and contact you for a job interview. Learn how right here. Continue reading "Career Summary - How to Grab the Employer's Attention"
All the tools and instructions you need to write a resume that will lead to a job interview. Includes expert advice, tips and techniques for a successful job search. Continue reading "How To Write A Resume - A Step-by-Step Guide With Easy To Follow Instructions"
I promise to use it only to send you Free Job Search Newsletter.